My pal, Mark Hutchinson from Vermont, just got back from a massive 273 mile hike along the Long Trail in Vermont with his lovely wife Nancy. As soon as he got back, he is thinking about skiing and sends me this amazing video of Tina Weirather of Liechtenstein making amazingly perfect carved turns in summer training. https://instagram.com/p/BXc5g_Jl3cK/. For you skiers out there, STOP READING AND LOOK AT THIS LINK. DON’T SKIM OVER THIS!! HAHA! Amazing turns with lots of vertical motion and perfect flexing of the skis engaging the edges ahead of the fall line. No wonder- she is a World Cup racer and comes from good stock as both of her parents were World Cup racers. But now……this is in my mind like a song that won’t get out of my head. I am trying to enjoy the summer and ease my pain of making those last turns in late March with no option for more turns until November, 2017 at best. But Hutch, what have you done to me? I was on the wagon and now you have tempted me like all the magazines arriving in my mailbox with all the new eye candy for the slopes this season. 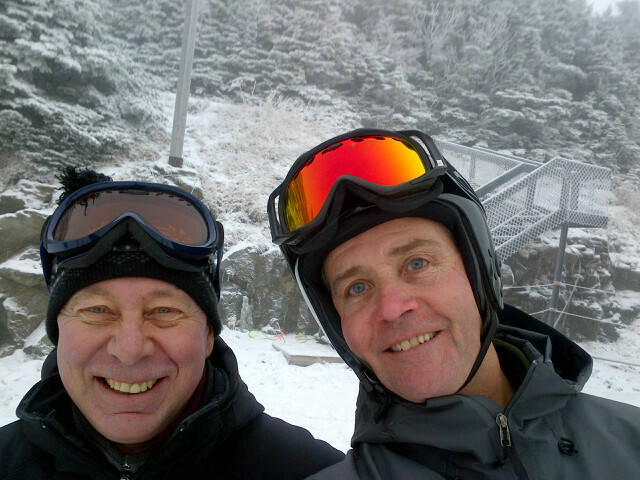 I have all the out of town ski trips planned- with Janet,Hutch and Mike Smith, and the annual guy’s trip. I even bought an Epic Locals Pass. I live in Pennsylvania. Augghhhhhhhhhhhhh!!!!!!! Addiction- it is terrible. I try not to think about skiing in the summer but sometimes you get that itch and look at your equipment and think about what you have to get in the fall. 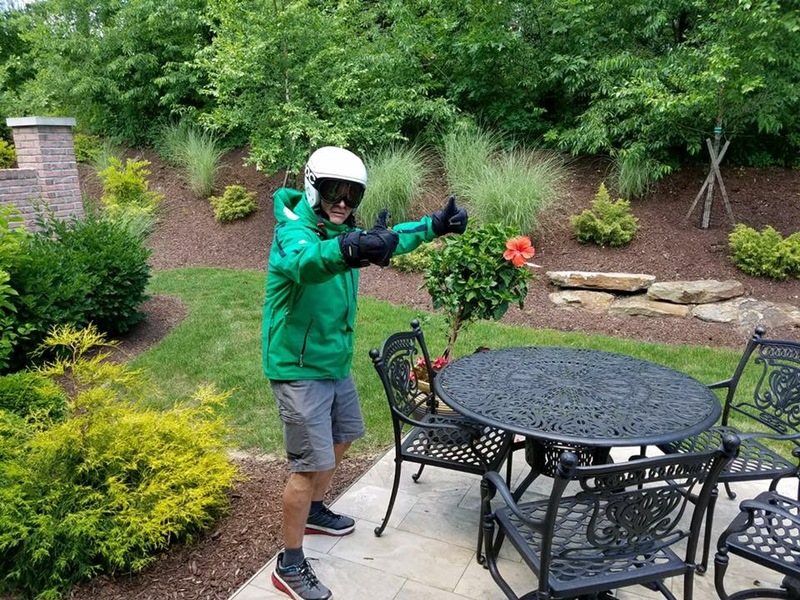 I even used my ski gear to move a bird’s nest this year that was imbedded in a potted plant on my brother-in-law’s patio. My wife commented, “Only you would use a ski helmet and goggles to protect yourself from the attacking angry birds”. My brother-in-law could not use his patio or grill because of the protective, angry, flying robins. I changed that by moving the nest. 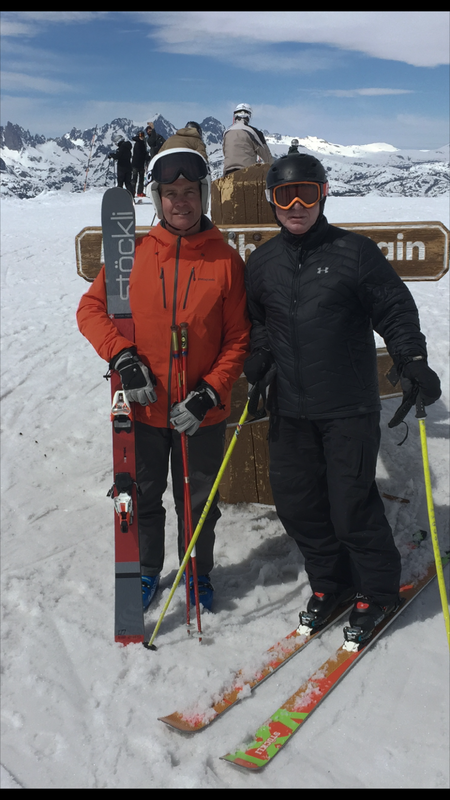 Strangely, it felt good to put on the ski gear again. I am hopelessly addicted to making turns. I am counting the days now until the beginning of ski season and it just isn’t right. It is 85 degrees and I should be enjoying the mountain biking and the pool for as long as I can. But this video has put me over the edge and I feel those turns and see them in my mind. What have you done, Hutch? As much as I like cycling and enjoying the warm weather, I look forward to the fall, the leaves changing and those first snowflakes that fall gently on the trails. I try to enjoy the moment, but people like Hutch make it impossible for me to rehab over the summer. So, if you see me on the trails for the balance of the summer, please know that I am trying. I enjoy the rides, I enjoy non-rainy days around here, I enjoy jumping in the pool, I enjoy cooking out on the grill, sitting in the shade with a cold one, all the good stuff of summer. But deep inside is this longing for those first turns. Tina Weirather is torturing me along with my pal Hutch who feeds me videos and commentary. Delta- you are guilty as charged too with your FB posts. Think snow…………..oh no, not yet!!! Thanks for reading. 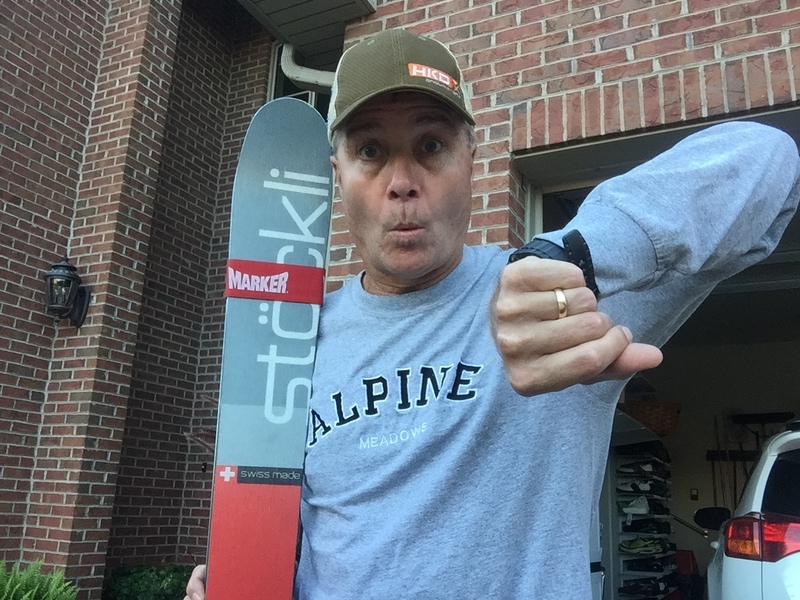 This entry was posted in Humor, outdoor activities, outdoor sports, Outdoors, Skiing, Winter, winter sports and tagged Epic Pass, The Long Trail, Tina Weirather. Wait one minute I haven’t even gotten to the Beach yet !! It’s still glorious SUMMER😎 Relax!!!!!!! I can’t help it. Hutch ruined me. Ok, I have to admit watching Tina’s skis slicing in the snow got me going too, awesome! I usually don’t get anxious till sometime after Labor Day, thanks a lot Pat. You can thank Hutch Art. You will meet him this winter. Pat! There is nothing like the feel of that snow under your feet! We are lucky that we have enjoyed so many miles of it! Lets keep it going!